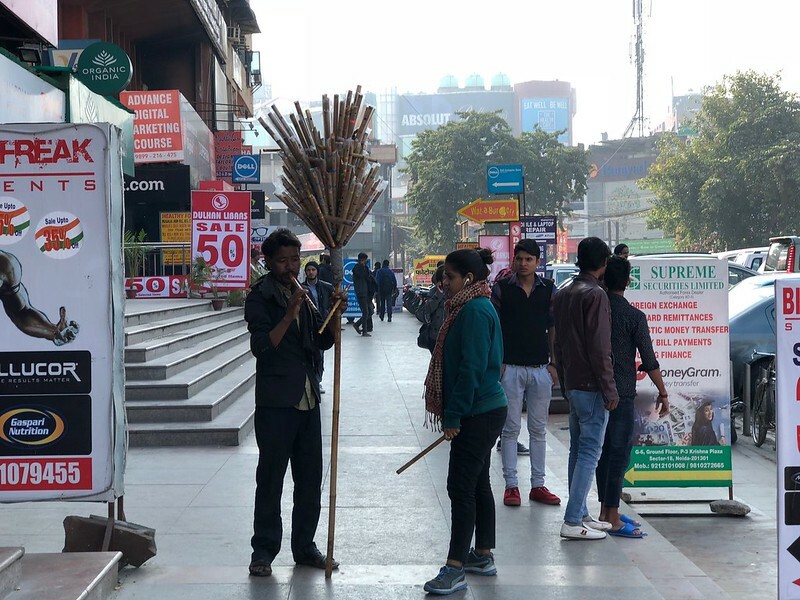 The Sector 18 Market in Noida lives up to its uninspiring name with a motley mêlée of almost everything, from fast food joints to stressed shoppers. 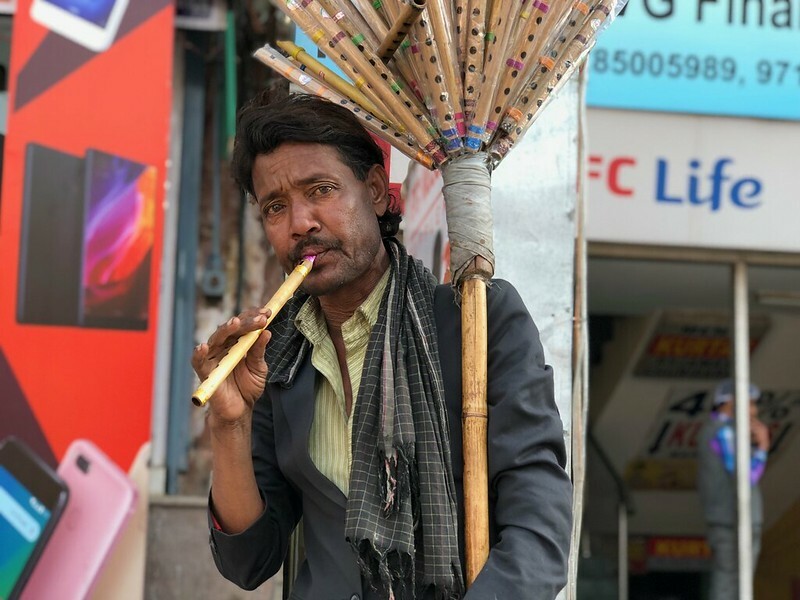 The Delhi Walla was told that the one man who has lived through it all is an entrepreneurial flute merchant. 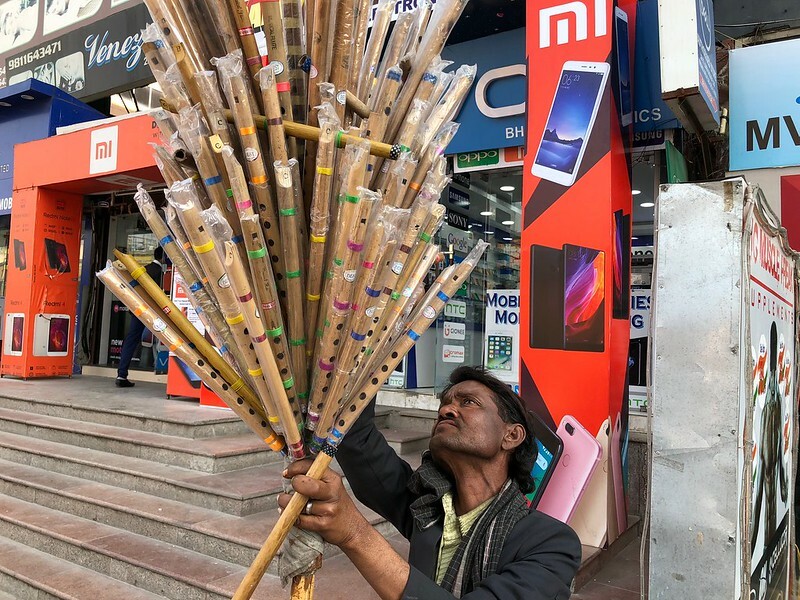 He not only sells the bamboo instruments but also regales this market in Noida with his impromptu flute concerts! I set about tracking him down. Finding Muhammed Ramzan isn’t at all easy, though, because he constantly moves around. At length, I detect the sibilant sounds of his flute over the din of car horns. There he is, playing an old Hindi film song. Mr Ramzan tells me that he buys the instruments in bulk from Sadar Bazaar and then hawks them. Some people buy them of course, “but many others just ask me to play their favourite songs.” This isn’t necessarily a free concert. 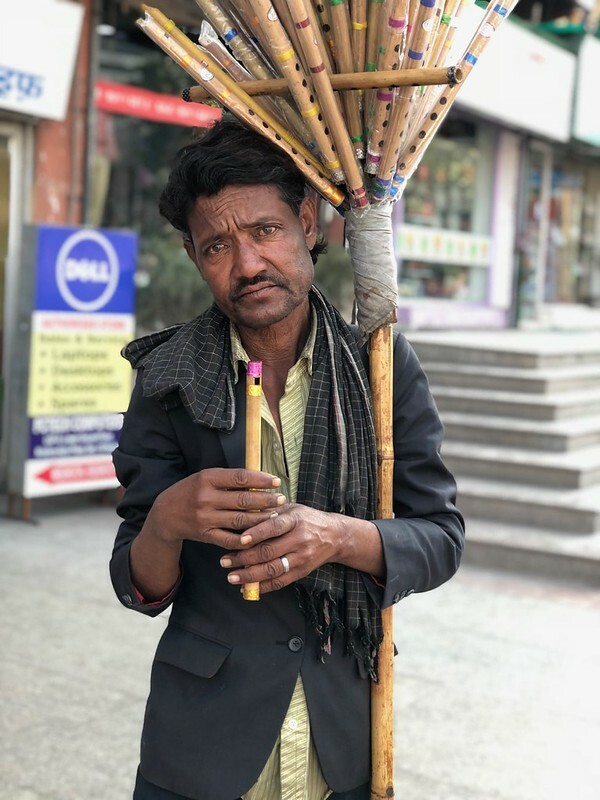 Kind bystanders do give ₹10-15 for a single performance. Until five years ago, Mr Ramzan sold balloons. The trouble was that “balloons burst and flutes don’t, so that’s what I’m now working with,” he says, shrugging his shoulders. Our conversation draws to a close. 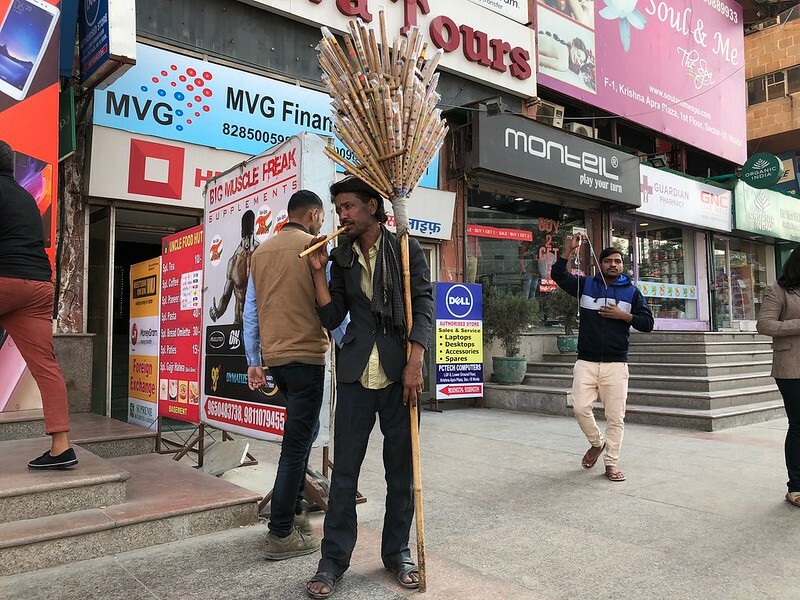 The merchant saunters off, playing that old Hindi film number “Pardesiya yeh sach hai piya”. Mr Ramzan lingers daily in the market from around 9am to 8pm.